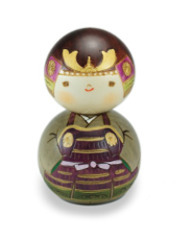 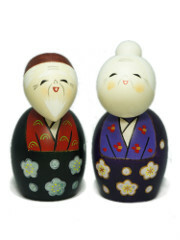 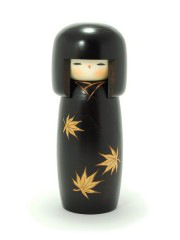 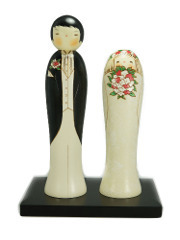 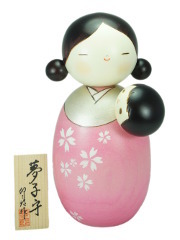 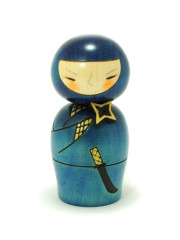 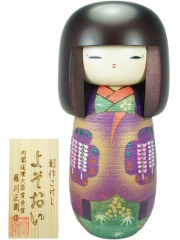 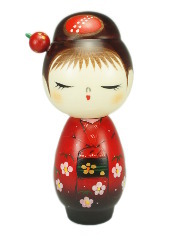 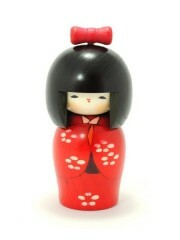 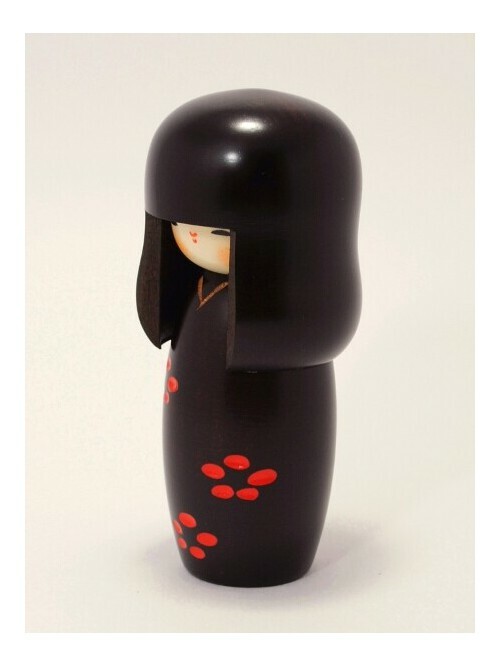 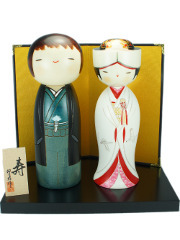 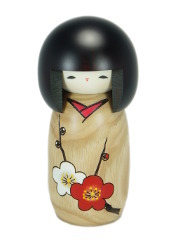 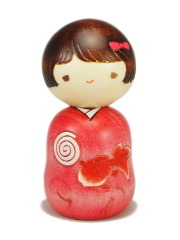 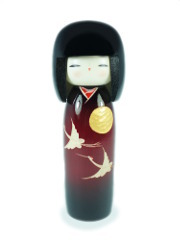 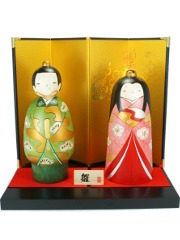 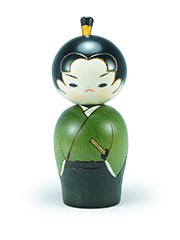 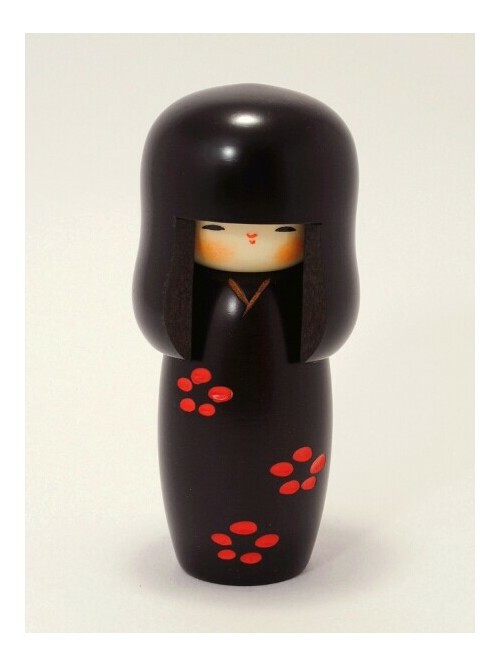 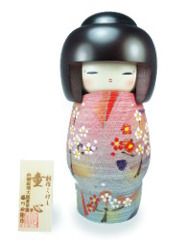 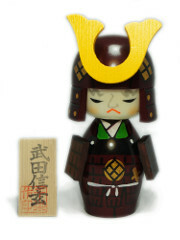 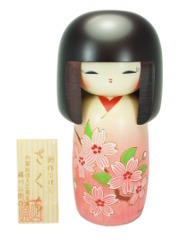 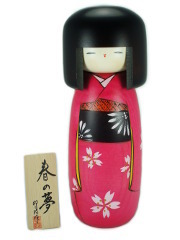 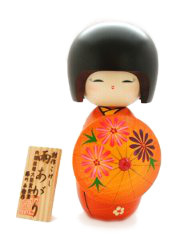 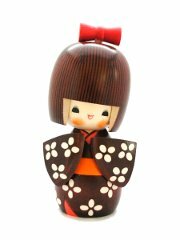 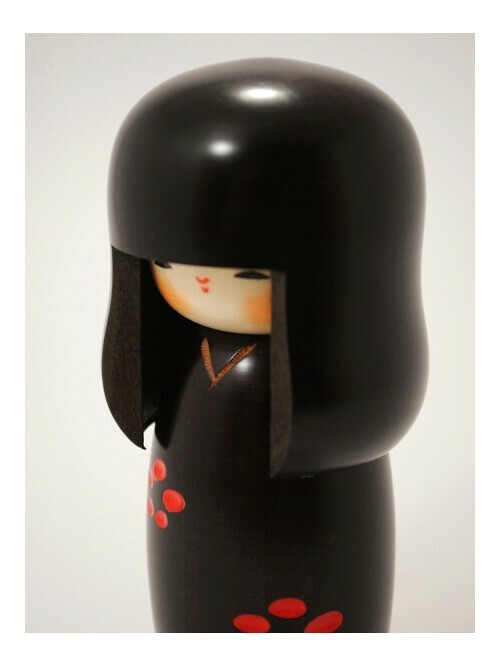 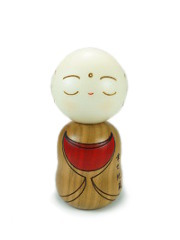 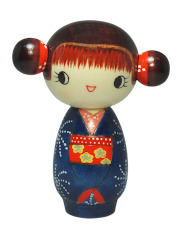 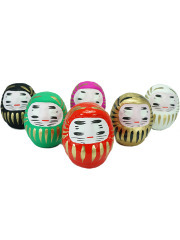 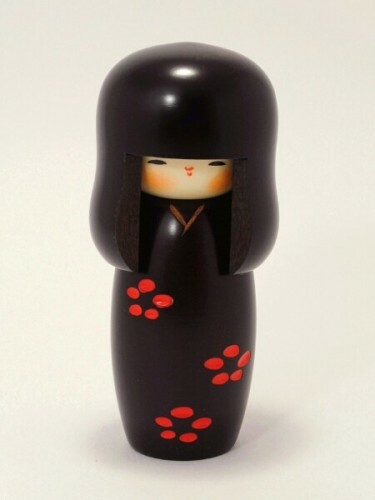 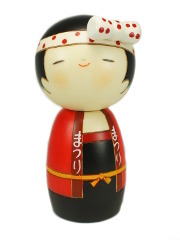 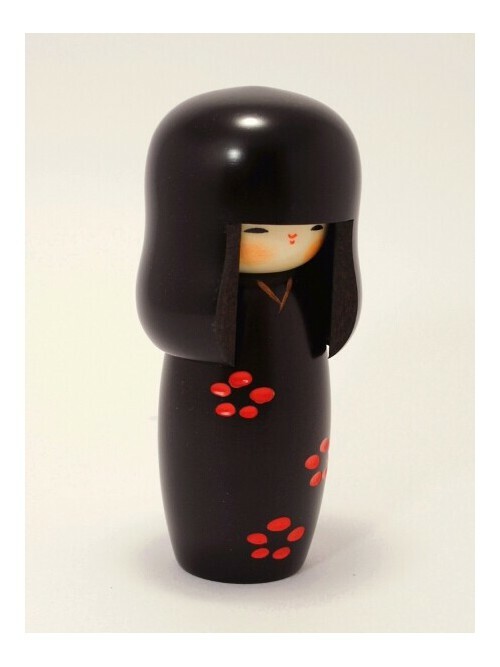 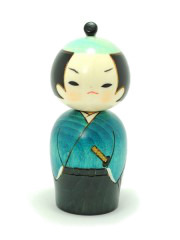 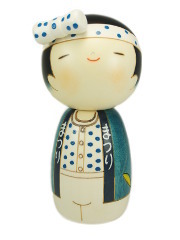 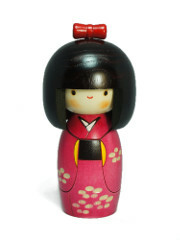 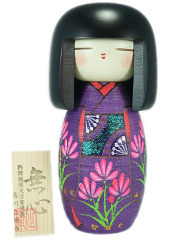 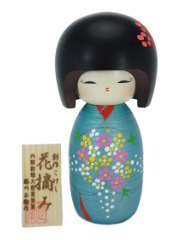 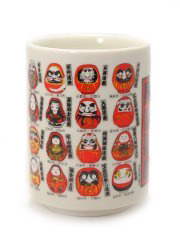 This cute little kokeshi doll has original an hair style both long and curly. 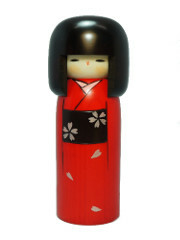 Sakura are represented on her kimono. 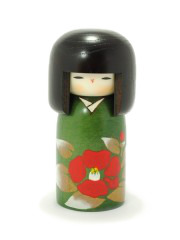 Her name literally means 'Tones of Spring'. 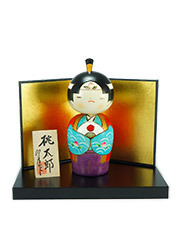 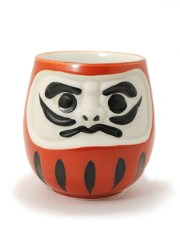 Très jolie kokeshi au visage très expressif, forme originale.